Quarter-sawn White oak – walnut stain. Tail fan, beard, and spurs not included. In the spirit of the Craftsmen style, quarter-sawn white oak has white swirls or figures that contrast sharply with the base tan-brown white oak color and straight porous grain. Finished in Black Walnut stain. 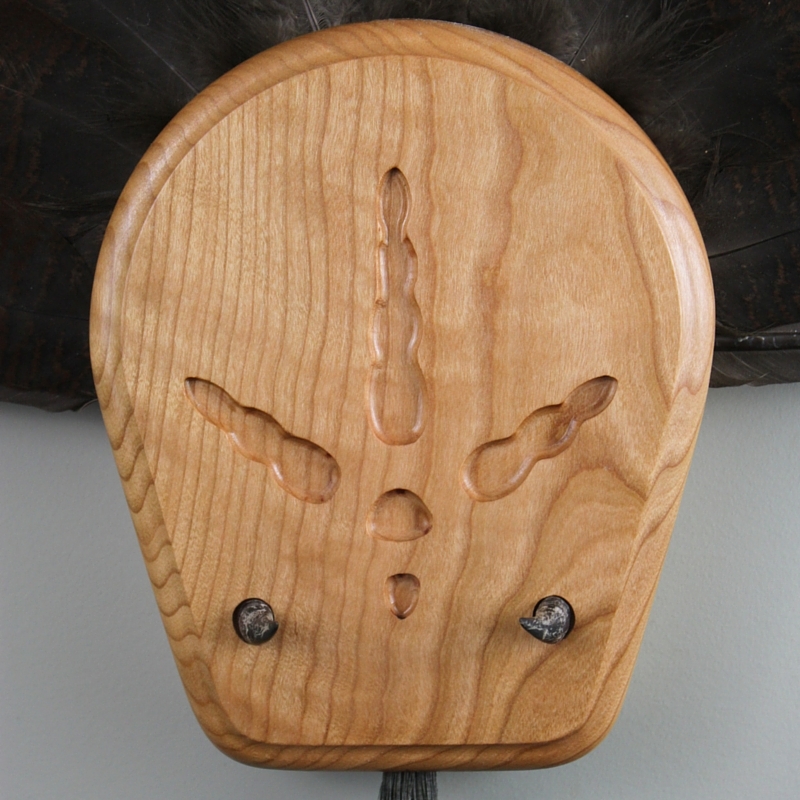 Mounting plaque is 8 1/2″ tall x 7″ wide x 2″ thick. 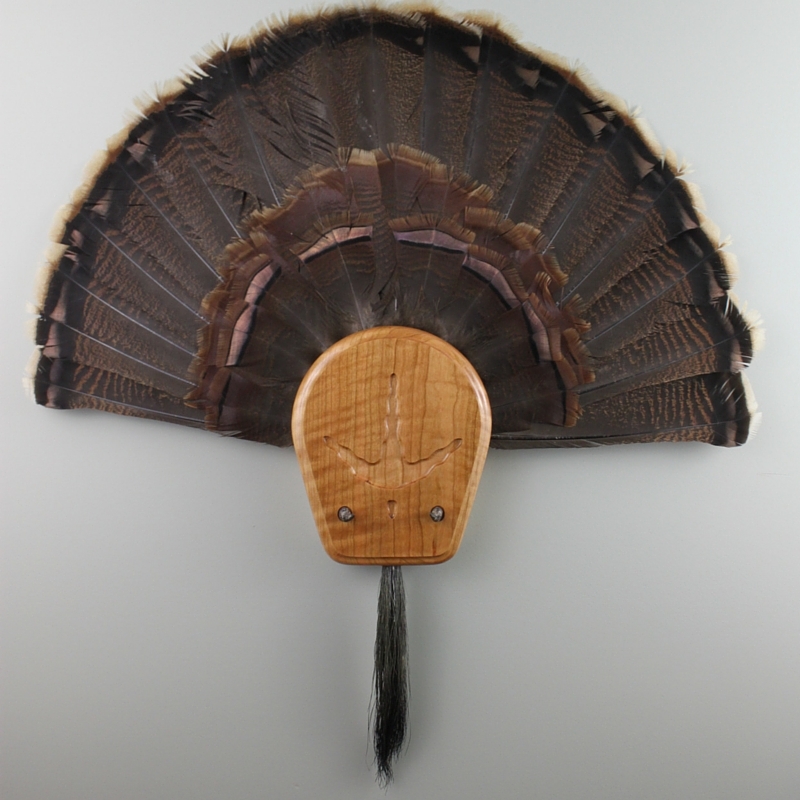 The bone/feather tail fan base must be finished to 3/4″ thickness or less to fit properly in the fan slot. Spur mounting sockets are approximately 9/16″ tall x 1/2″ wide to accommodate a full range of spur sizes. 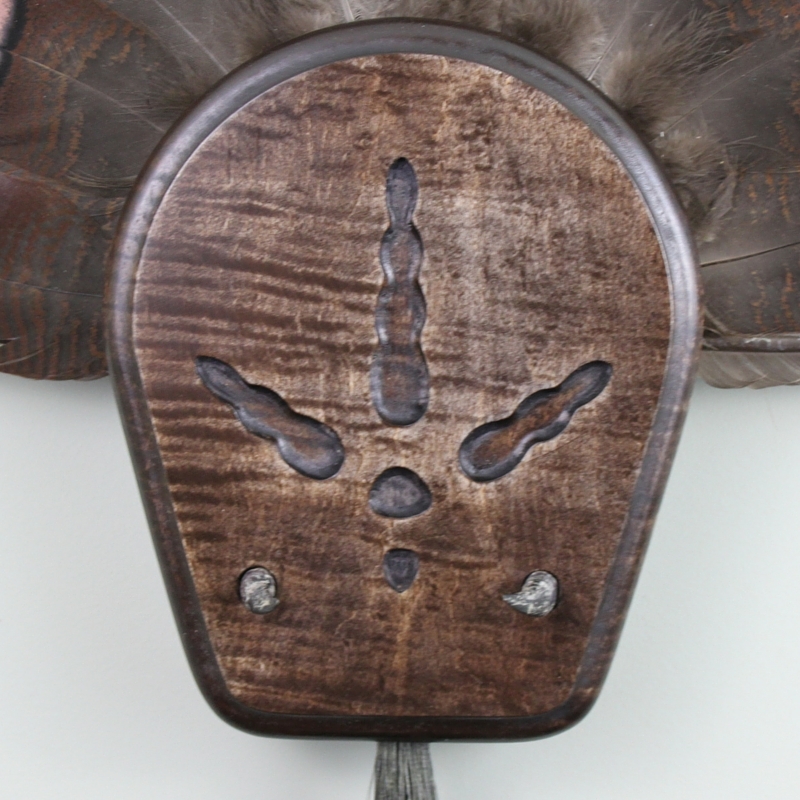 Beard receiving slot measures approximately 5/8″ wide x 3/8″ tall. 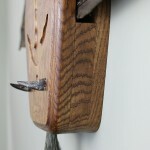 A keyhole mounting slot is on the back of the plaque in lieu of a wire or metal hanging bracket. This allows the plaque to lay flat against the wall. Simply use a nail or screw to hang the plaque using the keyhole slot. Instructions for assembly are provided at this link. 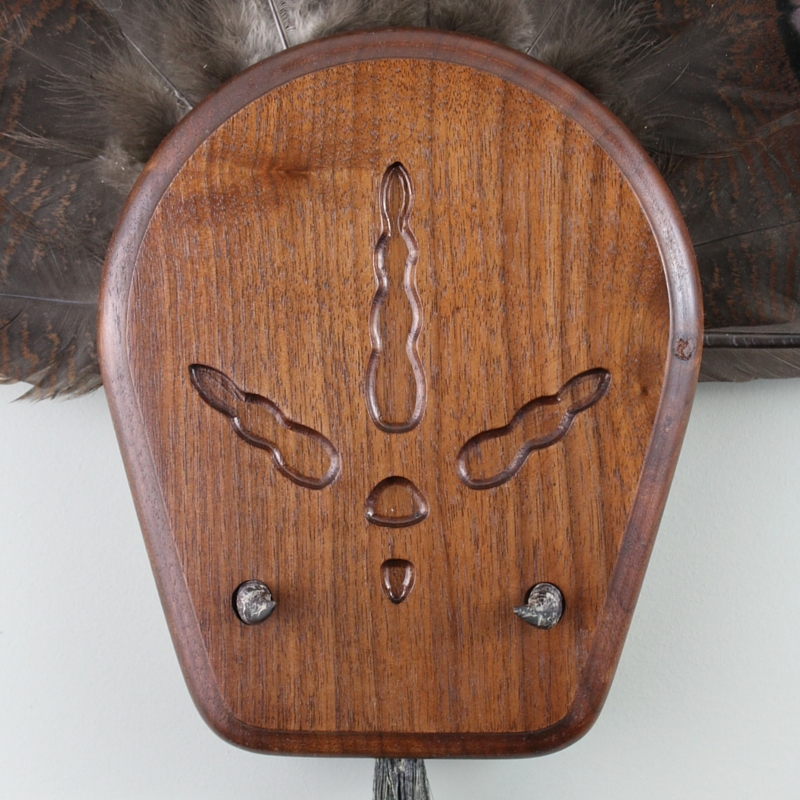 If you do not have the tools, skills or time to prepare the spurs (or fan and beard for that matter), and would like me to do the installation, please contact me preferably before placing your order. I can also custom router your spur mounting sockets for a near perfect fit. Contact me for service requirements and pricing. 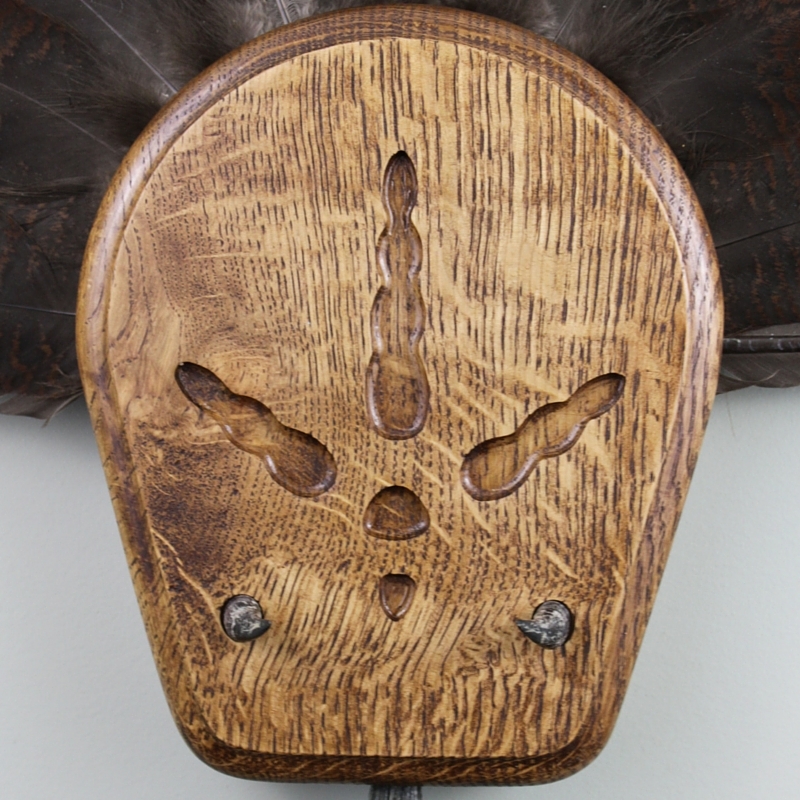 Tail fan, beard and spurs not included with mounting plaque. Stump Jumper Designs is a one man shop. I build high quality pieces, not bulk quantity. Therefore, please allow 2 – 4 weeks for your order to be completed.